On 12 December 1901 the Italian Physicist Guglielmo Marconi became the first person to send a radio transmission across the Atlantic. The single Morse letter ‘S’ (just 3 dots) was sent from Cornwall, England to Newfoundland, Canada. Many thought that it would be impossible as the curvature of the Earth would send the radio waves up into space, but Marconi proved them otherwise and changed the future of the World. He was awarded the Nobel Prize for Physics in 1909. 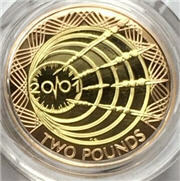 To commemorate the centenary of Marconi’s transmission, the Royal Mint produced a £2 coin marking the event. 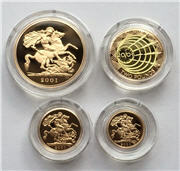 The 2001 Four Coin Gold Proof Sovereign Set consists of a sovereign (weighing 7.9g), half-sovereign (3.99g), £5 coin (39.94g) and a gold proof version of the Marconi £2 coin (15.98g). 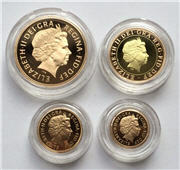 The Obverse of each coin has the portrait of Queen Elizabeth II as designed by Ian Rank-Broadley. 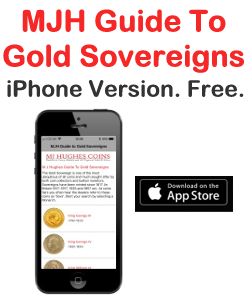 The sovereign, half-sovereign and £5 coin reverses show St George and the Dragon by Benedetto Pistrucci. The £2 (Marconi) coin reverse is a series of radio waves emanating from a spark of electricity set in between the zeroes of ‘2001’. Outside these is the image of the radio waves following the curvature of the Earth, just as Marconi predicted. This was designed by Robert Evans. 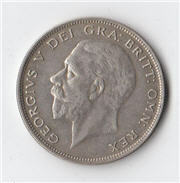 The £2 coin also has an edge inscription: WIRELESS BRIDGES THE ATLANTIC MARCONI 1901′. 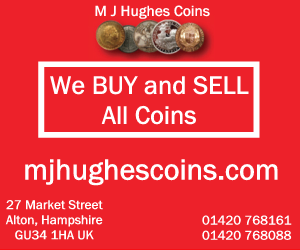 The set was originally issued by the Royal Mint with the coins in plastic screw encapsulations, boxed and with a certificate of authenticity (COA). Each set has a unique serial number. 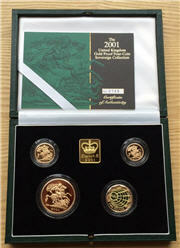 The set includes a gold plated medallion showing a crown and the words ‘Elizabeth R’ and ‘2001’. The reverse depicts a Snake, the Chinese New Year animal for 2001.